Stepping up when no one else is will is a great way to get noticed. In 2001, Donna Milrod was a recently-minted managing director at Deutsche Bank when she offered to take on a project no one else wanted. Her task was to devise a strategy for handling internal regulatory issues stemming from the firm’s acquisition of Bankers Trust. “I took a risk early on to volunteer for this really horrible assignment that was really critical,” she said. “I felt that I had the skills, even though I was relatively junior.” Succeeding in the assignment gained her exposure to the board and to senior management. Figuring out who has the most powerful voice in the room is the first key to your success. 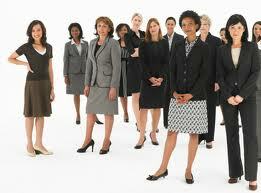 The second is devising strategies to attract their interest in your career. Mentors are important for giving you guidance on your career. Sponsors are more critical because they’re the ones banging on the table to bring you on for a new job or assignment. You can be doing great work, but if no one knows about it, you might as well be invisible. Deborah Buresh Jackson worked at Goldman Sachs in the 1980s in healthcare investment banking, a group that was just starting to get hot. Her first week, she was assigned to work on a $95 million transaction that involved raising money for the expansion of a hospital in Memphis, Tenn. “When you’re on the road, it’s really hard for senior management back in the office to know what you’ve done. I learned early on to tell the senior people how exactly I had contributed to the deal,” she said. Many women make the mistake of seeking sponsorship from only the people above them. Some of the people you work with are going to be in charge and could help you rise in the ranks. “It’s connections with people your own age that will help you get promotions,” said Amy Siskind, a former head of distressed debt trading at Morgan Stanley and the co-founder of The New Agenda, an organization dedicated to advancing women into leadership roles. Siskind, 46, was the first woman managing director at Wasserstein Perella because a friend she had worked with in her mid-20s had landed there and pushed for her hire. If a position you want doesn’t exist, create it. Similarly, if you don’t have the mentors and sponsors helping you get to the next opportunity, get there yourself. Carolyn Buck Luce, 59, learned this firsthand when she joined Ernst & Young as a partner in the corporate finance and restructuring group in 1991. “Most women had grown up there and I wasn’t well-known,” she said. “I didn’t have large networks that would have normally helped me progress.” So she volunteered to run the firm’s e-commerce strategy, which would guide the firm’s investments in certain e-commerce companies. From there, Buck Luce was asked to become the national director of strategic investments, a new position, and lead E&Y’s investments into other companies such as IT security and smaller tech-related operations. Sometimes you can fast track your career by walking out the door. Casey Stavropoulos, 35, joined APCO Worldwide as a manager of crisis communications in December 2004, then left last November to become vice president of strategy and marketing at Tula Foods, a Chicago-based consumer goods company. She believes it would have taken her 15 years to move up the corporate ladder. Now, she’s one of three principals at the start-up foods company. “It’s definitely stepping outside the box, but there’s something about paving your own way,” she said. The old adage “dress for success” still holds true. “Men of a certain caliber have bespoke suits. Women tend not to be as conscious that dress is part of their professional brand,” says Rand Kaspi of LawScope Coaching. You don’t need a bespoke suit, but you do need to avoid walking around in flats and khakis with a sweater set. Once you dress the part, act the part with both clients and superiors. Whether that means studying up on squash because a client is a devotee or brushing up on vintage wines because a vice president once expressed his penchant for them, you’ll need to delve into hobbies you may not have considered. If all this talk of hobbies is making you think of the one sport through which deals are made, you are correct: You need to learn how to play golf. You don’t have to be good, but you have to be competent enough to be invited for quality bonding time.